Welcome to week one of my summer educator inspired series titled, Prepping for a New School Year: Leadership Tools, Tips + Tricks. This is the first post of the 11 week series. Every Friday you will find a new post dedicated to making next school year the best yet equipping you with the tools you need. Everything I will share every week will be one that I have tested and tried out from the 2017-2018 school year. I have made a few tweaks, but I can ensure that everything I share in this series is on the job tested. I will also go back to each post in the series and provide the link to all the posts. If you are not already, make sure you subscribe and you will get an email once I post. Also, make sure you follow me on Instagram, Facebook, and YouTube. This time last year I was getting ready to go on my first ever Assistant Principal interview. To say that I was nervous would be an understatement. I was honored first of all for getting an interview in the first place. Hundreds, if not thousands of applicants apply for Assistant Principal positions at a school so being one of the lucky few to even be in the running to me is a big deal. If you get a phone call please know that you are and have been doing something right that made you stand out as a valuable candidate. 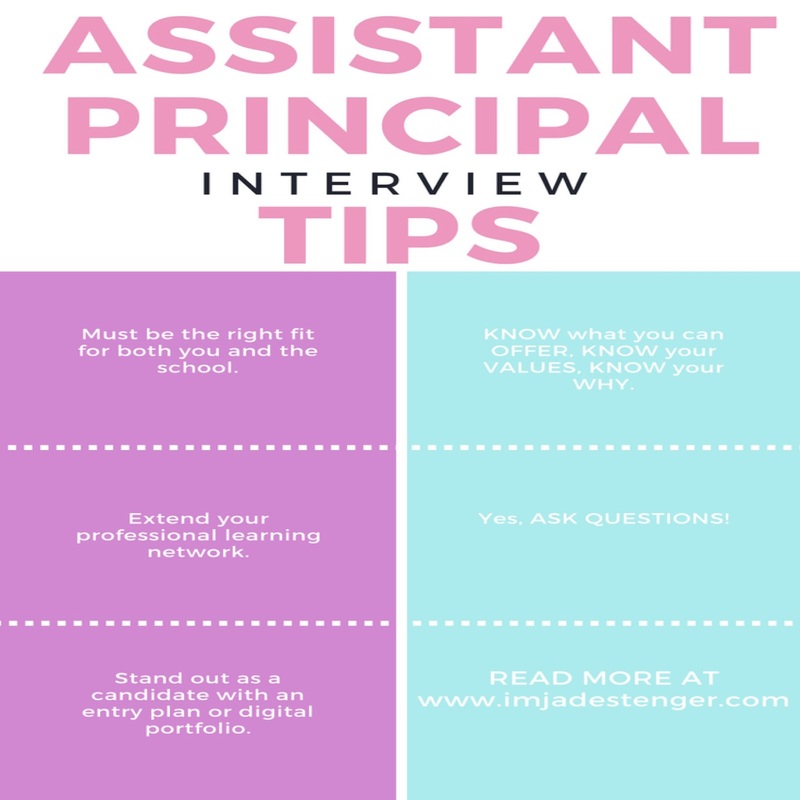 I wanted to take some time to share some of my tips I learned from going on various rounds of Assistant Principal interviews. Yes, I said rounds meaning plural. So yes, I did hear some No's, but I also ended where I believe I was supposed to be and my tips are why. First, when you apply to a school you need to apply somewhere that is going to be a best fit for you. How do you do that? You become a stalker of their website, ask around in the community, use social media to connect more, and look at their school report card. If you are in Texas you can find that on the TEA website here and you can find a school's Texas Academic Performance Report by clicking here. For other states, please go to where that information may be posted. Most of the time the district will post it on their website. It is important to do your research because you don't want to accept a job somewhere that you cannot use your talents in the way that compromises your dignity. I am a big believer in your name should stand by your morals and values. Nothing would be more heartbreaking to accept a job somewhere you are completely miserable and have to compromise your dignity every day. I am here to tell you that in this role you will not make it if you decide to go that route. The route of accepting a job just to accept a job. So do your research. But also please note that the school you are applying to is also figuring out if you are the right fit for them. Do not take it personally if for them it's a no. You both have to be the right fit for each other. It does not mean that you are not a great candidate because you get a no from a school. Take it as a blessing because the right fit for both parties could be in the near future. At your interview you will be asked scenario type questions such as a new initiative is presented by the building principal and the department head is not in agreement and is very upset. What actions would you take to reconcile the situation? Scenario type questions get to the heart of your decision making and more importantly how that decision making is tied to your values. Think about it, if you were to answer that question that you would let the department head know that this is what the principal wants so we need to stand by it then that says something about you. To me, that immediately just told me that whatever anyone says you will march to that beat. Your values are more on the lines of compliance. Yes, this could be a good thing. Definitely not saying that this is a wrong answer. This might be what that school wants in a leader. However, if you answered that you would meet with the department head to hear their concerns and then meet with the principal that your department is having some concerns that I feel we need to address in order to best carry out that initiative as a team where we are all in this together then that says something about you as well and your values. It tells me that your leadership style is more collaborative. It also tells me that you value hearing others and you are open to hearing concerns and doing something about it. So know what you can offer, know your why, and know your values. It speaks highly in how you answer your interview questions. It also helps you and that school determine if you are the right fit. Now should you look up interview questions and practice? Heck yes; go for it! However, do not memorize your answers so that when a question is asked it is no longer a conversation. Remember, they are trying to get to know you, your values, and how you utilize your strengths and what growth opportunities you have as a leader through the questions. When you have memorized answers it is hard to get to know someone through that. You can find some great interview questions here and here. Part of being in an administrative role is about networking with others. Like I said, there are hundreds, if not thousands applying for the few positions that open each school year. By extending your professional learning network it also opens up more opportunities for you. This time last school year I stumbled across the Facebook group, Principal Principles Leadership & Learning Community led by Dallas elementary principal, Stephanie McConnell. 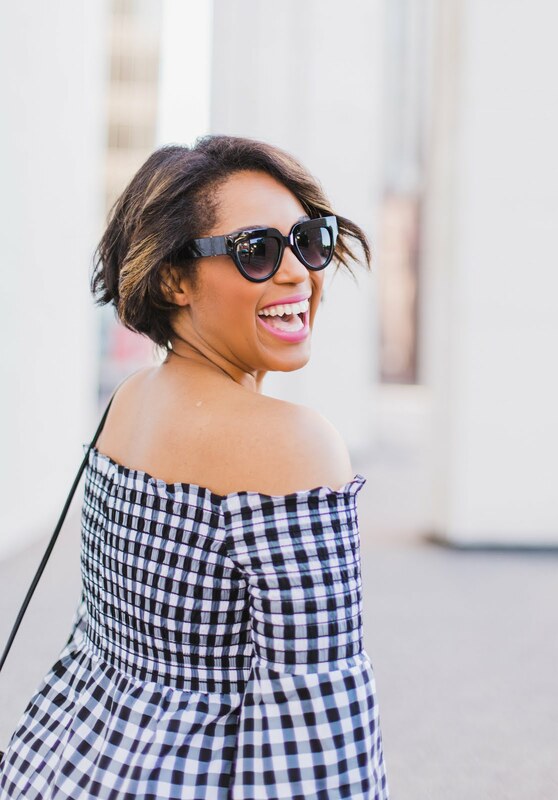 This Facebook group became a lifesaver because I was able to connect with various leaders from all over the world and ask them interview tips. I felt more prepared because I understood what an interview committee was looking for. 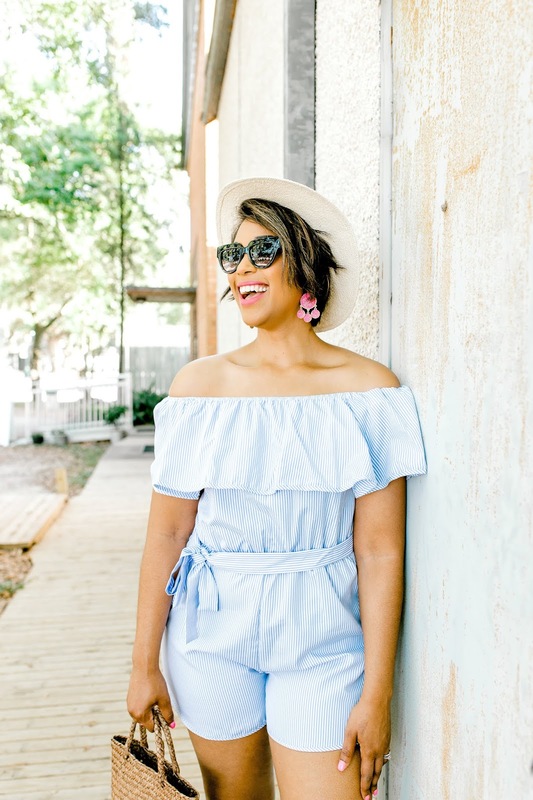 You can't be shy in this type of role so get on that page, ask questions, and start connecting with others. How do you determine if that school is the right fit if you do not take the time to ask questions? Not only that, how does that interview committee really know if you have done your research and truly interested in their campus if you do not ask questions. Again, both you and that campus is trying to determine the right fit. You got the interview so your resume already spoke to them that you have the training and skills. Now it is about the fit. Just like they are interviewing you, you are also interviewing them. Ask questions that are going to help you determine that you are the right fit. There is no magic wand in someone being able to tell you what questions to ask. Each interview I went on last year I did not ask the same questions every time. The questions were tied to that campus and more information I needed to know about who they were, what they stood for, and if that matched up to what I could offer and would be able to offer to a campus. Think I am wrong about this part? 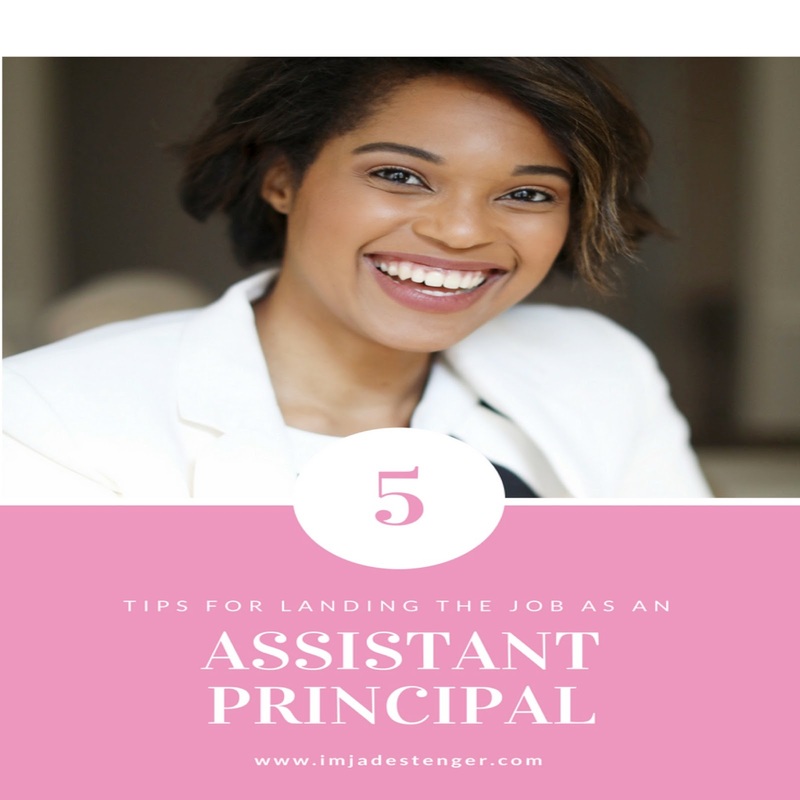 Just check out Principal Kafele's Thoughts to Consider for the Assistant Principal Job Interview Part One and Part Two. Since you are on his YouTube channel you might as well listen to his entire playlist on getting a job as an Assistant Principal. I used his tips and I got hired. I created a digital portfolio along with an Assistant Principal Entry Plan that I shared with the interview committee at the end of my interview. I would not recommend that everyone do this. I feel if you are going to leave something with an interview committee then there is a reasoning behind it and it does not come off anything less than authentic. I decided to share this because the schools in which I applied to were ones I was really interested in. I wanted that committee to know my plan for their school and after all the interviews that committee might have had that day they would remember me at the end of the day. This plan was one that I found on Stephanie McConnell's website and then tweaked it. The digital resume was because my Masters degree is in Educational Technology Leadership. It showed my skills and knowledge base as far as being knowledgable of instructional technology as a leader. Like I said these are items I used to help me stand out as a candidate. Plus, I am a believer in that part of your role as an Assistant Principal or a Building Principal is that the community, staff, students, district board members and district administration is entrusting you that you will do right by all stakeholders. My digital portfolio was another way for me to connect with that campus because a resume is just words on a page, some are just good at interviews, but me showing off my skill set based upon the items I chose to highlight in my resume and interview helps that committee get to know me on a different level. I am all about actions speak louder than words, and I wanted them to see evidence of my actions.